Gentoo is a source based meta-distribution and the KDE herd is responsible for maintaining the KDE ebuilds. All KDE packages must reliably compile on a large range of hardware architectures that possibly using multiple desktop environments. This presentation examines the past, present and future challenges facing the KDE herd of Gentoo Linux in its quest to maintain an up to date, stable and secure KDE desktop environment. The Gentoo KDE herd is responsible for virtually all KDE and Qt applications available in the main Gentoo ebuild repository. One of our main tasks is to maintain a stable, secure and up to date collection of KDE ebuilds which must work across a large number of hardware architectures using different compiler versions, compiler flags and USE flags (which act to customise the builds according to the users particular needs). KDE core applications and libraries. The split KDE ebuilds built from monolithic sources. Extra KDE applications such as amarok, k3b and kile. Interaction with upstream KDE developers. Interaction with packagers/maintainers from other Linux distributions. Distribution applied patches and customisations. Challenges faced with libraries shared across desktop environments, such as dbus/hal. The road to KDE 4! Marcus has been using Linux since 1996 and has tried many distributions over the years. He started using Gentoo in 2003 and became a developer late 2004. 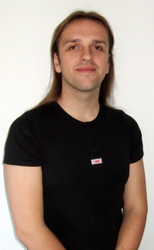 His main interests in Gentoo development are KDE, X86_64 porting, scientific packages, LaTeX and some web applications. He is currently in the final stages of his PhD research work in nanotechnology.